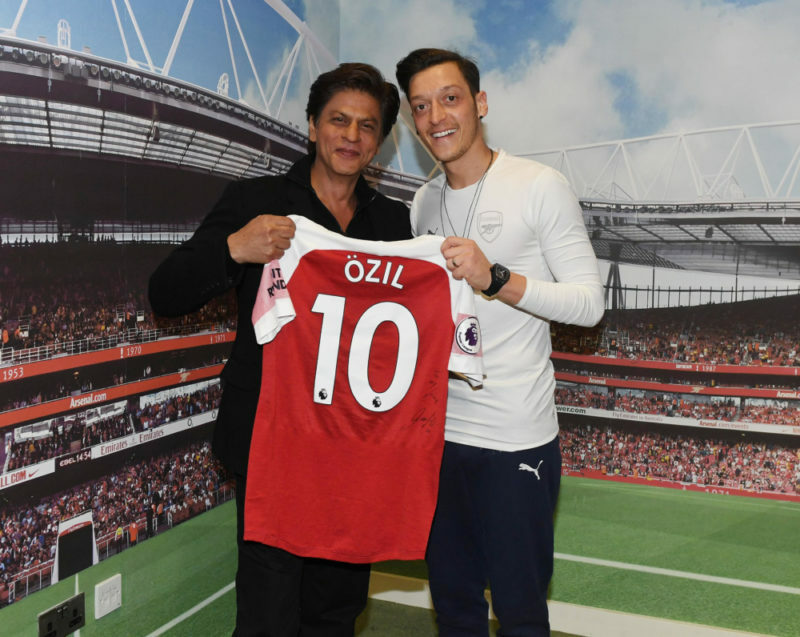 Bollywood superstar Shah Rukh Khan met up with Arsenal midfield maestro Mesut Ozil during a recent trip to London. 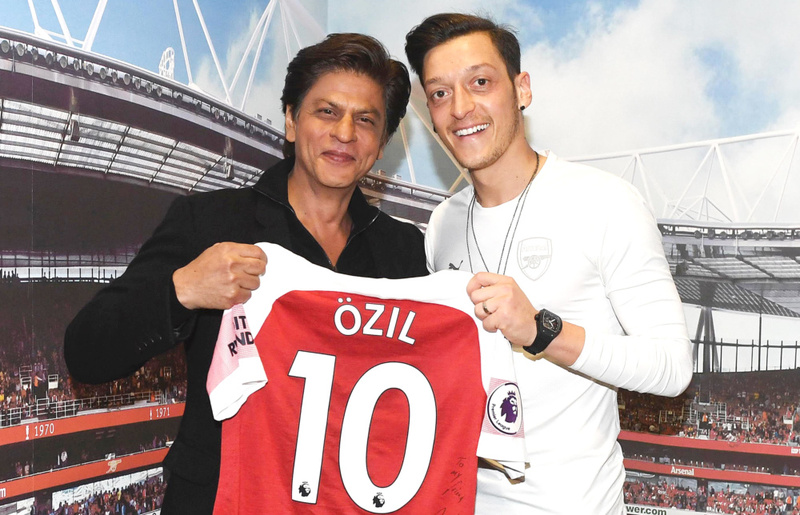 The Indian actor watched Arsenal beat Newcastle United 2-0 and, at the match at Emirates Stadium, posed with an Arsenal jersey with midfielder Ozil, as well as his fiancée, Turkish-Swedish model and actress Amine Gülse. World Cup winner Ozil too responded in kind, tweeting to his 23.9 million followers in both English and Hindi. Numerous fans commented with joy on seeing the two proud Muslim megastars together for the first time.